Sondra Rasch is co-founder of Konsus.com, part of the Y Combinator Winter '16 batch. 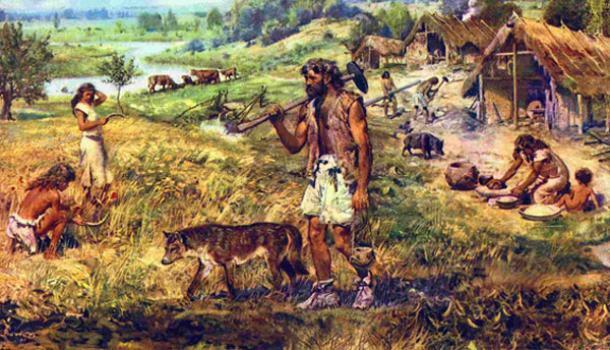 We humans are hunter-gatherers domesticated into becoming farmers. Around 10,000 years ago, we discovered the wonders of agriculture. To make farmers out of hunters, we used social norms and sanctions. This tension of our origins is described in the fable of Cain and Abel, which ends with Cain the farmer slaying his brother, and God’s favorite, the hunter-gatherer Abel. Life for a farmer and a hunter-gatherer is very different. As hunter-gatherers, we were on the move, and our activity was low-stakes. We spent more time exploring opportunities and met strangers via mutually beneficial trade. As farmers, we were bound to one place, exploiting our existing knowledge, protecting against threats from strangers. This big change in how we lived our lives happened so quickly that genetic evolution didn’t have time to catch up. We humans still carry within us the values and preferences of our inner hunter-gatherer, but in a cultural straightjacket to make us farmers. The era of humans as farmers is now over. Since the industrial revolution, machines have taken over the toil. 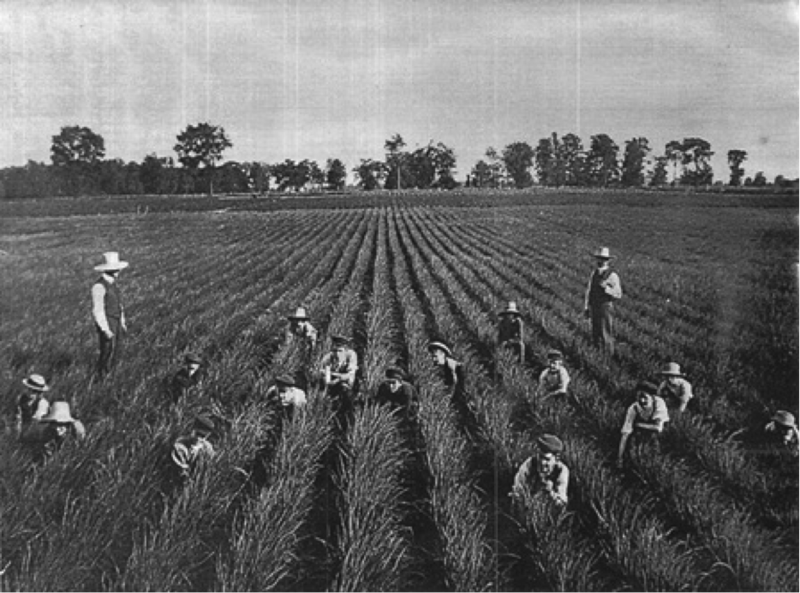 In an incredibly short period of time we have gone from a world where most of us worked in agriculture, to one where almost no one does. Yet our farmer-based values are still in our culture and in the workplace, a cultural vestige that reduces our happiness and productivity. Like a cultural post-traumatic stress disorder, we are exerting huge effort to keep alive structures from a bygone era that no longer make sense. When we mechanized agriculture and built the first big industrial firms, we borrowed farmer values to coordinate our activities. Work on a factory line wasn’t so different from work on a big farm — it made sense to keep people in line using the same methods. This big change in how we lived our lives happened so quickly that genetic evolution didn’t have time to catch up. Now, work is changing again. In the past three years, the amount of people participating in the online freelancer economy has grown an incredible 53-fold. The internet has allowed the building of tools that caused the external coordination costs to drop drastically. As this external coordination cost keeps falling, we no longer have to bundle together tasks into jobs. We no longer need our farmer straightjacket to be productive. We are witnessing a dissolving of the economic benefit that the farmer culture once had. For the first time in 10,000 years, we have the opportunity to shed our self-imposed shackles, and for the majority of people to return to values that are more in line with our nature. As with all big transitions, how we design work in this moment will matter. A lot. Like the founding of the United States could only be done once, the founding moment of what will become the future of work will have big and lasting effects. The values we build this protocol on will mean much for many humans, now and in the future. There are many fast-growing companies right now that are adopting freelancer or remote-work business models. In the last few years this model has started to make sense in many professions, and the shift has happened fast. So fast, in fact, that many people aren’t realizing this is still the Wild West. While some companies are exerting good efforts, freelancers in general aren’t being treated very well — neither by companies nor governments. This is my stake in the sand — not just to hold us to a high standard — but to hopefully inspire other companies and freelancers to start holding themselves to a higher moral standard in this new way of working. Our manifesto for the future of work is to use technology to build a way of working together that is superior in productivity, yet better matches our instincts; to free humanity from the mental shackles of wage slavery. Too many people have restricted access to free movement, reducing the productivity of billions of talented people. We believe it should not matter what your source is, but what you do. Many are not paid their fair share according to what they contribute. We believe one should receive equal pay for equal work, without discrimination. Too many people have to travel far to get to work at times that are inconvenient for them and for the rest of society. Everybody should have the flexibility to work from wherever they want, and when they want. Far too many people spend too much of their time searching for a job, or searching for projects. We believe we should use technology to match people with the projects in which they are interested. Too many people are working on something they do not find interesting, but that others do. We believe we should increase the size of our markets, so that many more can choose to follow their passions, as well as learn new things. And, sadly, many people spend time at workplaces where they are miserable. We believe work should be a tribe that provides you with meaning and enjoyment, where you are part of something bigger. Too many people are at risk of not getting paid for the value they produce, or for losing their job. We believe we should pool our resources to provide everyone with a stable income, where you always get paid what you are promised, regardless of whether other people fail to meet their commitments. Far too many people live in trustless environments, where trust is replaced by costly and unwanted surveillance. We learned in the Nordics that it is possible to create work without constant monitoring; reputation-based repeated interaction builds a robust culture built on trust. We’re still far away from the ideals listed above, but they represent lighthouses to guide us toward the kind of workplace we are building here at Konsus. If we succeed, I see the future of work as having the flexibility to work from wherever you want, when you want, on the things you master, with security. Companies will have the full potential of humanity at their fingertips. In 10 years, work and jobs will look quite different from today, in a very good way, a more equitable, free and efficient way.